Malone, in her debut, provocatively maps Jesus Christ’s stages of human development, using the Gospels as a guide. 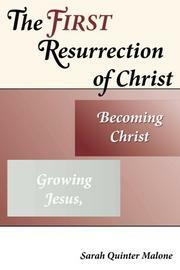 In this well-researched, thought-provoking exegetical work, Malone proposes that although traditional religious dogma holds that Jesus is eternally unchanging, both the canonical Gospels and the Synoptics “show him as a human being who—like other human beings do—changed, grew and matured throughout his life until his death.” In this account, readers follow Jesus through as many of the stages of childhood and young adulthood as the evidence allows, as he intellectually matures along the lines of famous peacemakers, such as Martin Luther King Jr. As such, it emphasizes Jesus’ pacifism, taking in stride, for example, his violent attack on the moneylenders in the Gospel of Matthew. In very clear prose, Malone deploys her considerable textual knowledge to examine Jesus’ claims of divinity—represented in terms such as “Son of God” or “Son of Man”—and makes the radical suggestion that such labels may obscure one’s appreciation of Jesus the man: “Might it have been better for humanity if Jesus had never been worshipped as the divine Son of God, but rather his teaching and example simply followed?...Does calling Jesus God’s Son make it far too easy to excuse our failure to emulate him?” Her extrapolation of Jesus’ psychological development is narratively supple, authoritative and ultimately convincing. Her line-readings of the Gospels yield a bounty of insights, even for readers well-versed in Scripture. This is a very skillful exegesis, and her focus on Jesus’ secular philosophy will open her inquiry to non-Christians as well. An invigorating search for the human Jesus.